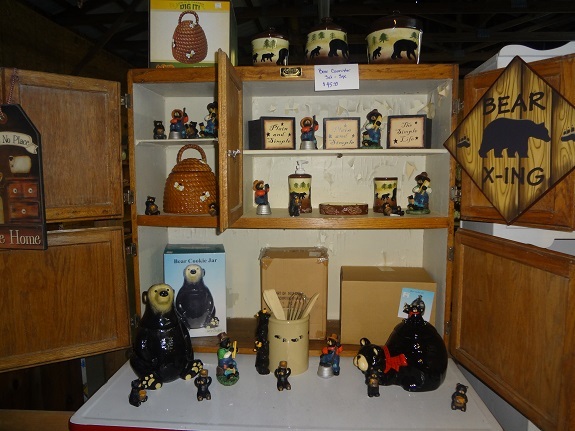 We have lots of new gift items - Come in and browse! Many hundreds of years before Chief Powhatan's reign, fairies were dancing around a spring of water, playing with nalad's and wood nymphs, when an elfin messenger arrived from a city far away. He brought news of the death of Christ. When these creatures of the forest heard the story of the crucifixion, they wept. 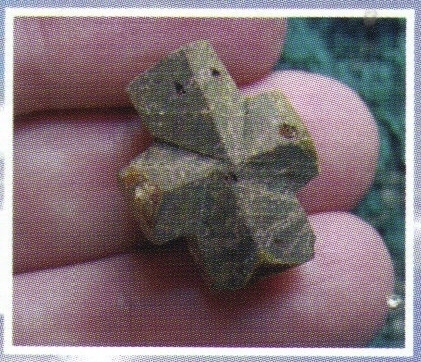 As their tears fell upon the earth, they crystalized to form beautiful crosses. 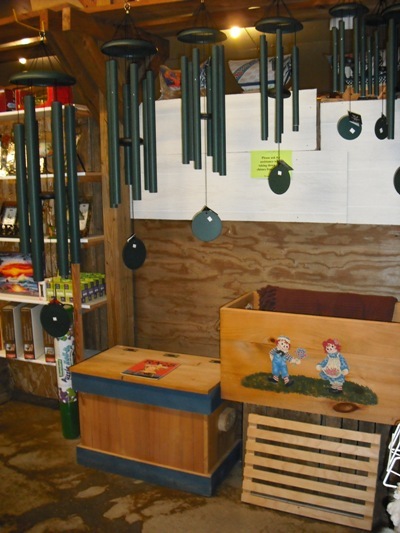 The fairystone is just one of many unique item's you will find in our large gift shop. 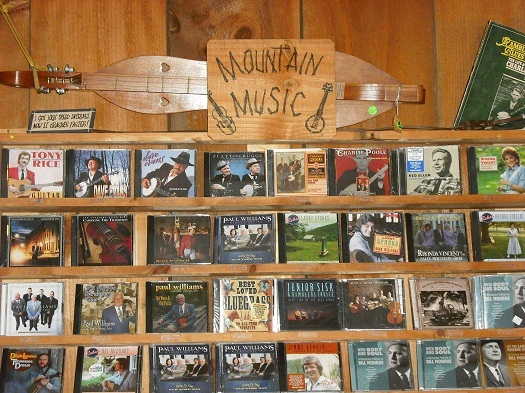 Old Time Mountain Music at it's Best! 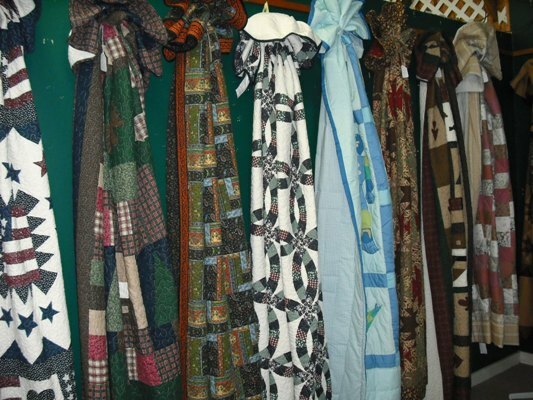 Top quality quilts at a very reasonable price! 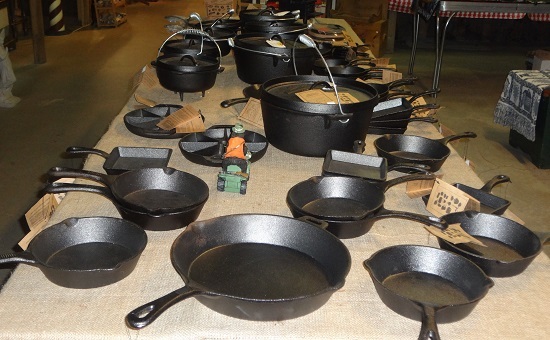 Lodge Cast Iron! Great for cooking at home, or camping. Corinthian Windchime's are hand tuned and have a very unique sound. 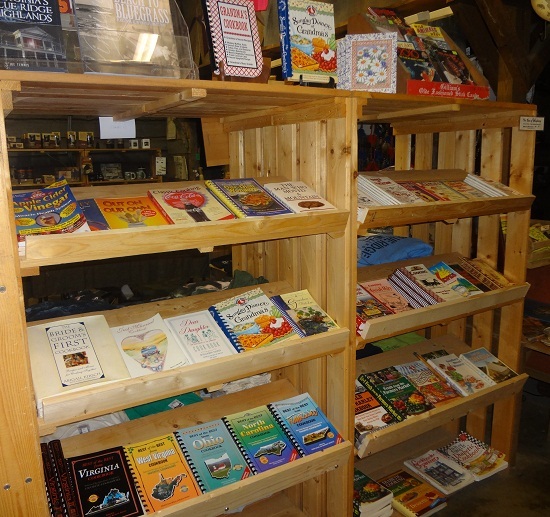 We have a large section set aside for our cookbooks and books by local artist. We are a Boyd's Bear Dealer! Mrs. Poor Farmer makes these beautiful cemetary saddles. We also have mixed bushes, and many other floral items. 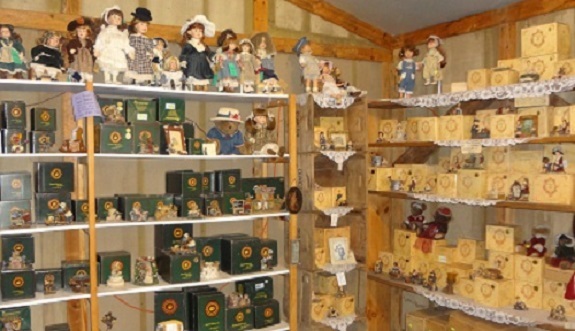 We also have many souvenir's for all you fine folks who are looking for that perfect gift from the beautiful Blue Ridge Mountains of Virginia. Mr. & Mrs. Poor Farmer welcome you to come and take a stroll through their unique gift shop that has something for everyone!